What’s going on here? It has to do with the rolling shutter used on the camera that recorded the video. Before we get much further, let’s discuss the difference between rolling shutter and total shutter. Rolling shutter is a method of capturing images that does not expose the entire sensor simultaneously, but instead exposes different parts of the sensor at different times. Total shutter, on the other hand, captures the whole image in one moment by exposing the sensor to light all at the same time. Most smart phones take photos and videos using rolling shutter, and for the most part this method of capturing photos works perfectly fine. Except for when it doesn’t. 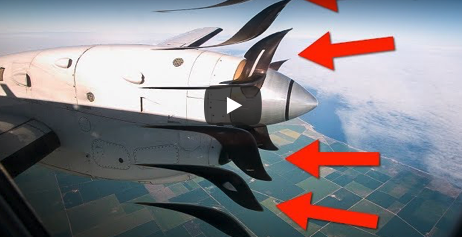 We think rolling shutter is a really cool phenomenon, and so does Destin from Smarter Every Day. To save you some reading time, check out this video about rolling shutter and some of the math behind it!